The Prodigy, Chase & Status, Sub Focus, Spor, dBridge & Skeptical, Calyx & Teebee, Benny L, Icicle, Artificial Intelligence, Need For Mirrors and many more of drum & bass’s most respected and talented names have all contributed to one of the most important compilations the genre has seen in years. Quite possibly ever. 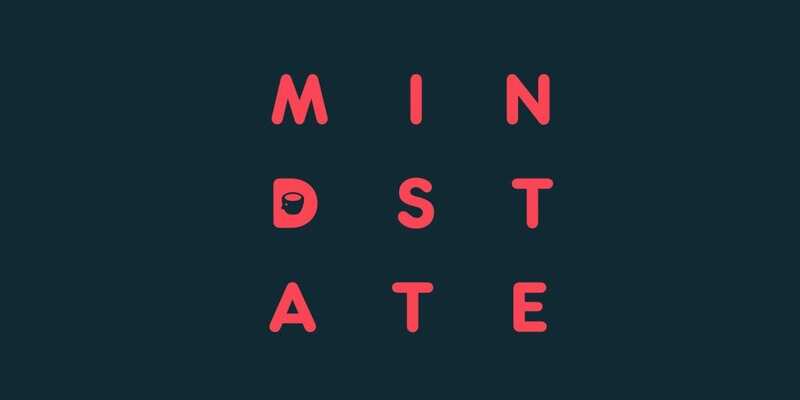 Welcome to Mind State, a massive 18-track collection stacked with cutting edge D&B from dons and exciting new-gen talent alike (including long-awaited bombs such as Chase & Status – All Crew and Sub Focus – Circadian) Out today in conjunction with London’s innovative 24 hour mental wellness and music festival Getahead, 50% of all album proceeds will go towards Help Musicians UK and Music Minds Matter, their vital 24 hour phone freephone advice service for musicians specialising in mental health. Getahead takes place on June 13 in Omeara, London and will address all forms of wellness in the forms of workshops, fitness classes, stand up comedy and a massive rave finale with many of the acts on the album. With one in four of us likely to experience mental health issues at some point in our lives, Getahead are tackling a matter we all need to face head on, normalise and remove any stigma around. As we discussed with Linguistics last week, mental well being is just as critical as physical health and no one should ever be afraid to, or feel they can’t, talk about their mental health. The weight of talent behind the album is proof of the issue’s urgency. Curated and compiled by veteran MC Ben Verse with help from Linguistics and the Getahead team in a matter of weeks, the turnaround of 18 tracks in such a short space of time is testament to how things can be achieved when people start talking and helping. We caught up with Ben Verse to find out why the project is so important to him and how it all came together. This all happened really quickly, right? Insanely quickly. I wrote a list of people I know who might be into the idea. I called people up, met them at studios and it happened organically. Some people wanted to be involved but couldn’t be due to release plans. 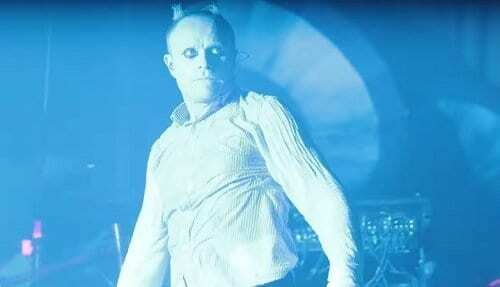 But when guys like The Prodigy are up for it, it really blasts the door open and it snowballed from there. Sub Focus, Chase & Status and so many more amazing names. I’m really happy with it. Amazing, right? It came together in three weeks so we were really up against it time-wise but the positive attitude we had from everyone from the get-go set the precedent. 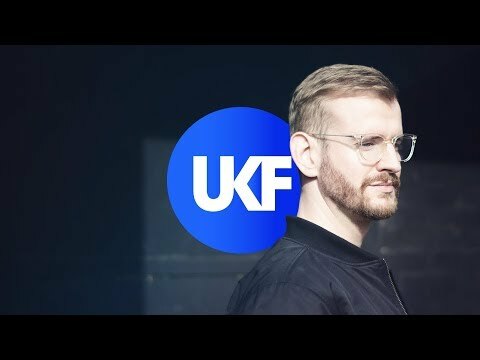 To get exclusives from these guys is incredible and I don’t think it’s been done on this level in drum & bass before. Everyone could all see the benefit of what we’re doing which is of course to raise money for the 24 hour phoneline for musicians. The first stage of avoiding mental illness is talking to someone and those guys are on the frontline helping people. It’s important to have that support there. For musicians to be able to call a number, have a chat and share what they’re experiencing before it gets to last resorts such as drug or alcohol dependency to hide from the problem. The music industry is a roller coaster. One minute you’re way up there, the next you’re not. You don’t know what’s around the corner. It’s not 9-5, it’s long nights, it’s a lot of travelling. It’s especially challenging for younger artists who throw their whole lives into this. They’re investing upwards of 20 hours a day, hunched over their laptops, putting every bit of energy and hope into trying to become somebody. They’re throwing their whole life into it. If cracks do start to appear then speak to someone, work out a way of creating balance in your life. Talking really is the key, right? Yes it is. And also about educating people so when your friend turns to you with a problem and feels comfortable to share what they’re experiencing then you know how to help. But in terms of Mind State, this is about action and raising funds. This is just the start, we want to develop the Mind State concept into a series and unite artists from other genres for the same or similar causes. Personally I also thought it was important to fuse the legends with the new school. I wanted them to be on the same platform together. Real dons and real dons of the future. It wasn’t going to just the big headliners but a cross section of the scene. It’s very deep music and I’m immensely proud of what we’ve done. How was mental illness affected you? I’ve been through some very turbulent times personally and have been seriously tested. But most importantly for me is someone very close to me has been sectioned as a paranoid schizophrenic. The drugs he was being prescribed weren’t helping him, but he found escape and an outlet through music which I thought was really interesting. Sorry to hear. What type of effect does music have on him? It’s the only escape he can get. Whenever he gets anxious or paranoid and uncomfortable he puts his headphones on and it gives him a safe space. Music is the saviour of this illness, it gives you that escapism. One day it could be hard trance, the next it could be deep house music but whatever he listens to it helps him with the issues he’s suffering that day. It’s been his strongest medicine. I’m happy to say he’s been put on different medication and is currently a lot more stable but the power music has had on him has been immeasurable. Have you played him the album? Not yet! I’m really excited to, though. I’ve played him some tracks but not the full thing yet because we’ve been sorting out paper work and contracts until the very last minute. The fact so many people have got involved, even major labels who have cut through a lot of red tape and bureaucracy in a very short space of time has been very inspiring. You’re on the album yourself with Calyx & Teebee and seem to be very active on the tunes at the moment. Can we expect any more productions from you this year? Yeah I’ve had a new tune out every month this year with the likes of Ulterior Motive, Icicle, Prolix, Maztek, Proxima. I’ll still be MCing but since Pendulum I’ve felt a lot more freedom and I don’t want to tie myself in with one camp or style. I’ve done shows with Dimension and Camo & Krooked. I’m keeping my options open and keeping myself inspired. And busy with the Mind State project. This is it. I’ve honestly had more vibes from this than I have from working in a very long time. It’s really fulfilling to be working on something like this. It would be nice to work more in this field and help people. I’ve amassed a lot of knowledge and experience over 22 years and I’m frequently asking questions or giving advice. It’s a very turbulent industry and if I can help anyone then I’d love to. Unbiased and not with an agenda. I’ve seen and made so many mistakes, it’s about avoiding the pitfalls and if I can help people I will. I think we all need to help each other more. Getahead takes place on June 13 @ Omeara, London. Full details and tickets.